This is for one football shaped glycerin soap. 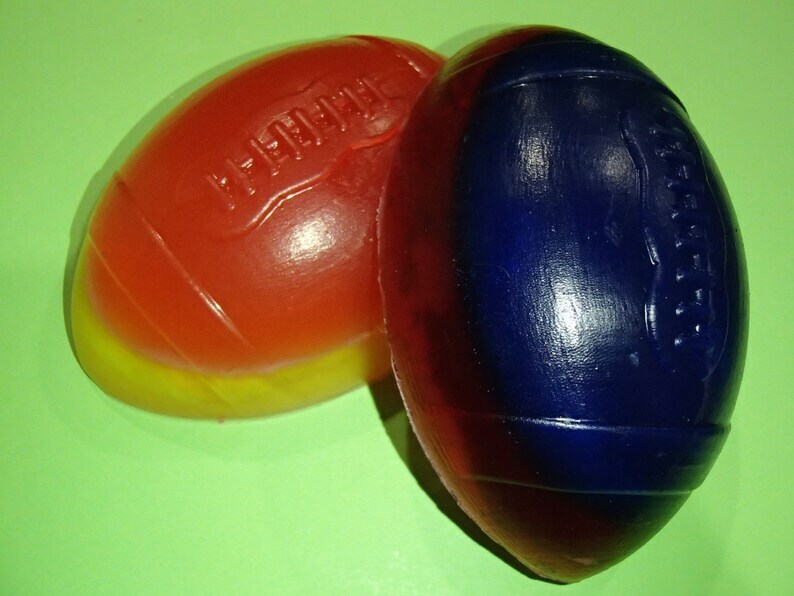 Buyer chooses what two team colors they want the soap to be made with. Options include red, yellow, orange, green, blue, purple, brown, pink, and black. If no color request is put in comments with order or messaged to me within 24 hours of order, then a blue and red football will be shipped. The soap weighs ~5.5 ounces. It measures 4.25 inches by 2.75 inches and is 1.25 inches in thickness. It is unscented unless otherwise requested.